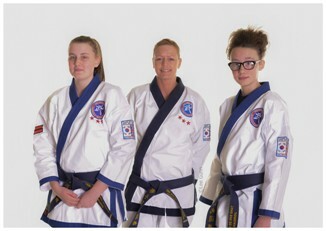 My name is Jacky Brown and I am the Chief Instructor of Middleton Family Martial Arts Centres. I am assisted by my two daughters, Jade and Jordan (who are both qualified Blackbelt instructors) with teaching classes for families, adults and children of all ages. We have been training in martial arts for many years and in that time we have helped many students achieve their goals including improved health and fitness, confidence, self-discipline and self-control. This is achieved in a fun and friendly atmosphere which is great for children, adults and families alike. We believe that training in the martial arts has made us grow together and we are now pleased to share the many benefits that we have experienced with others. If you think you might like to try something new, make new friends or improve your health and fitness, confidence and discipline then why not take that first step and come along to try a free lesson. Call today on 07871 694572 to book your Free 30 Day Trial. We will look forward to meeting with you soon.